Personally, I think that Nendoroid Hatsune Miku: Yukata Style version is one of the most interesting Nendoroid in the Summer WonFes 2012 – especially for Miku fans. She was firstly teased by Mikatan on her pre-WonFes post, and then fully revealed at the event itself. 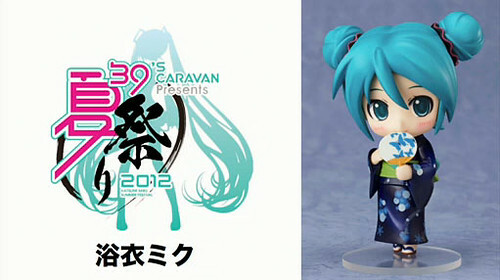 Anyway, according to the product sign at WonFes, September is the pre-release date for 39’s CARAVAN Miku event at Hakkeijima between September 15-17, 2012. I have no idea about what they meant by pre-release date, but I assume that the Nendoroid will be released in same fashion as WonFes-exclusive product: on-the-spot event sales and web pre-order sales. Nendoroid Hachune Miku and Makise Kurisu: White Coat version are Going for Re-Sale! Amidst the busy and fully-packed WonFes, GSC has silently posted a pair of Nendoroid who are going to be re-released as a part of their 10th anniversary celebration. The leek swinging Hachune Miku is back again! 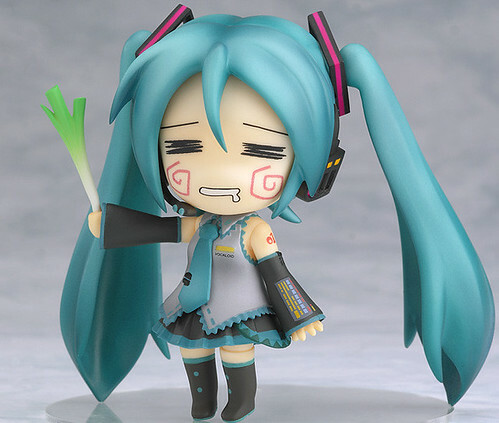 As a part of Good Smile Company’s 10th anniversary rerelease project, the 2008 Summer WonFes product, ‘Nendoroid Miku Hatsune: Hachune Face Ver. ‘ is going to be rereleased! This version of the Miku Nendoroid comes with the fan favorite Hachune Miku face as her default expression, along with a variety of replaceable parts to place her in some fun poses! She also comes with the drooling Hachune face as well as a blank face with stickers so you can create your very own expression! Nendoroid Makise Kurisu: White Coat version from Steins;Gate is also getting a re-release, as she was originally released on last year’s Winter WonFes. The assistant in the white coat is coming back again! 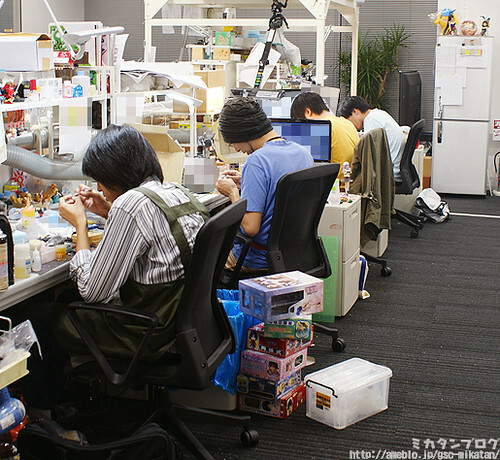 As a part of Good Smile Company’s 10th anniversary rerelease project, the 2011 Winter WonFes Nendoroid of Steins;Gate’s tsundere heroine, Kurisu Makise is going to be rereleased! 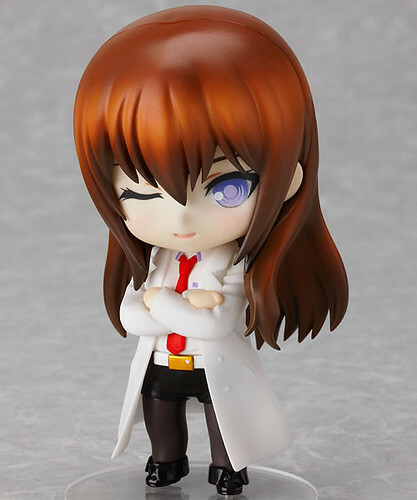 The WonFes version of Kurisu featured her in the white coat from the game, plus it also comes with a alternate expression to the standard Nendoroid. An extra expression based off the emoticon: “”ヽ(*゜д゜)ノ””, is also included, which fans are sure to enjoy. Combine the parts from this version and the original version to get the widest range of poses possible for your Nendoroid Kurisu! They are priced at 3000 Yen each and scheduled for December release, with the pre-order starts on August 6, 2012 (22:00JST) until the August 20, 2012 (21:00JST) at Good Smile Online Shop. More information regarding overseas pre-order are available on their respective official pages. 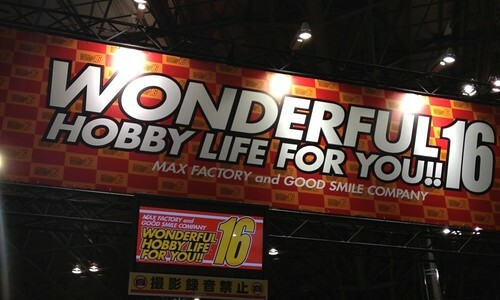 Yep, Summer Wonder Festival 2012, or better known as Wonderful Hobby Life for You! 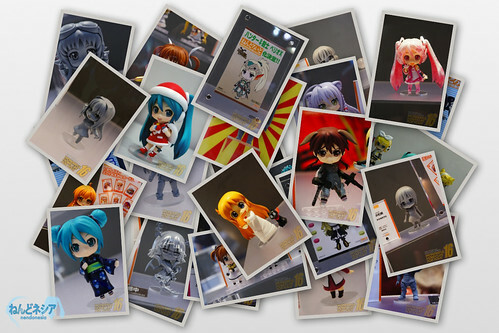 16 for us Nendoroid fans, is held today. 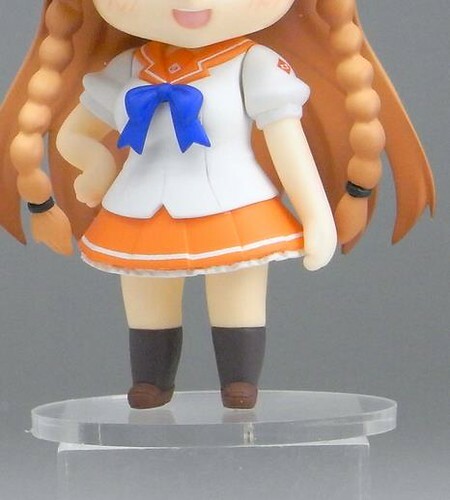 We are just a few hours away from the highly anticipated Summer WonFes 2012, and Danny Choo has revealed the lower body view of Nendoroid Suenaga Mirai as a warm-up post for the event. To be fully revealed at the Wonder Festival tomorrow. Well, her braided hair is cute and the pose is adorable. I cannot wait to see the full figure tomorrow – I can imagine that her expression will be super lovely as well! What do you think, Nendonesian? 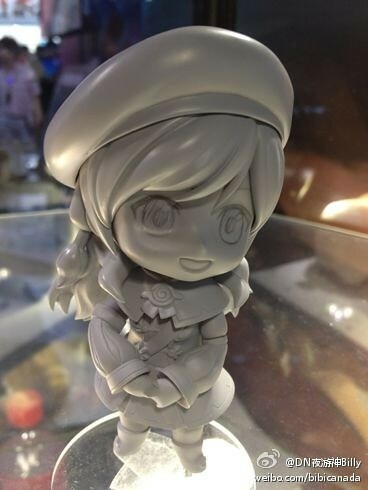 Yep, a pic showing the prototype of Nendoroid Irine from MMORPG Dragon Nest is spotted on the net. Irine’s in-game role is actually an event planner NPC, who travels from town to town in order to coordinate events.